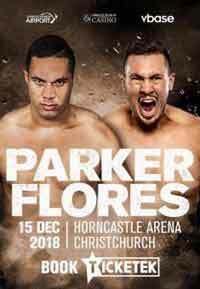 Review by AllTheBestFights.com: 2018-12-15, Joseph Parker vs Alexander Flores gets three stars thanks to a good finish of the fight. The former Wbo Hw champion Joseph Parker entered this fight with a professional boxing record of 24-2-0 (18 KOs=75%) and he is ranked as the No.10 heavyweight in the world but he comes off two consecutive losses, against current #1 Anthony Joshua (Anthony Joshua vs Joseph Parker) and Dillian Whyte (Dillian Whyte vs Joseph Parker); his last victory was with Hughie Fury in September 2017 (Joseph Parker vs Hughie Fury). His opponent, Alexander Flores, has an official record of 17-1-1 (15 KOs=88%) and he entered as the No.176 in the same weight class. He suffered his only loss when he faced Charles Martin in 2014, since then he has collected three victories and one draw. Parker vs Flores is the main event of the evening. Watch the video and rate this fight! Review by AllTheBestFights.com: 2018-07-28, good fight between Dillian Whyte and Joseph Parker: it gets three stars. Dillian Whyte entered this fight with a professional boxing record of 23-1-0 (17 knockouts) and he is ranked as the No.8 heavyweight in the world. He suffered his only loss when he faced current #1 Anthony Joshua in 2015 (4-stars fight, Joshua vs Whyte, curiously Whyte defeated Joshua by unanimous decision in his first amateur bout in 2009), after this fight he has won seven fights beating Malcolm Tann, Robert Helenius (Dillian Whyte vs Robert Helenius) and Lucas Browne in his last three (Dillian Whyte vs Lucas Browne). His opponent, the former Wbo Hw champion Joseph Parker, has an official record of 24-1-0 (18 KOs=75%) and he entered as the No.9 in the same weight class but he comes off the loss against Joshua (Anthony Joshua vs Joseph Parker). Before this bout, in 2017, he had beat Razvan Cojanu (Joseph Parker vs Razvan Cojanu) and Hughie Fury (Joseph Parker vs Hughie Fury). 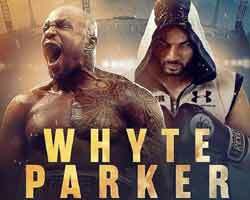 Whyte vs Parker is valid for the WBC Silver and vacant WBO International heavyweight titles. Watch the video and rate this fight! Review by AllTheBestFights.com: 2017-09-23, disappointing fight between Joseph Parker and Hughie Fury: it gets two stars. Both undefeated, the Wbo Hw champion Joseph Parker entered this fight with a perfect boxing record of 23-0-0 (18 KOs=78%) and he is ranked as the No.6 heavyweight in the world (currently the #1 in this division is Anthony Joshua) while his opponent, Hughie Fury (Tyson Fury’s cousin), has an official record of 20-0-0 (10 knockouts). Parker won the vacant Wbo heavyweight title last year against Andy Ruiz Jr (=Parker vs Ruiz Jr) and he successfully defended it once in 2017 with Razvan Cojanu (=Parker vs Cojanu) while Fury is not ranked as he hasn’t fought since April 30, 2016 when he defeated Fred Kassi (=Fury vs Kassi); before this bout he had also won over Dominick Guinn. 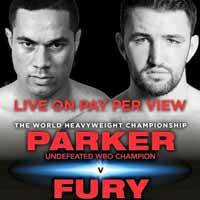 Hughie Fury vs Joseph Parker is valid for the WBO World heavyweight title (Parker’s second defense). Watch the video and rate this fight! 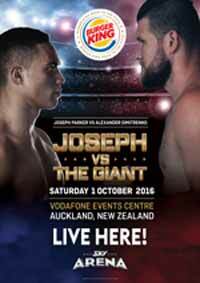 Review by AllTheBestFights.com: 2017-05-06, fight not so exciting between Joseph Parker and Razvan Cojanu: it gets two stars. The undefeated Wbo champion Joseph Parker entered this fight with a perfect boxing record of 22-0-0 (18 KOs=82%) and he is ranked as the No.7 heavyweight in the world (currently the #1 in this division is Anthony Joshua). He fought five times last year beating Alexander Dimitrenko (=Parker vs Dimitrenko) and Andy Ruiz Jr in his last two (=Parker vs Ruiz Jr). His opponent, Razvan Cojanu (who replaces Hughie Fury), has an official record of 16-2-0 (9 knockouts) and he entered as the No.78 in the same weight class. He lost to Donovan Dennis in 2015 (=Dennis vs Cojanu) but then he has won three bouts. 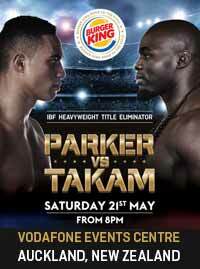 Joseph Parker vs Razvan Cojanu is valid for the WBO World heavyweight title (Parker’s first defense). Watch the video and rate this fight! Review by AllTheBestFights.com: 2016-12-10, close fight but not so exciting: Joseph Parker vs Andy Ruiz Jr gets two stars. Both undefeated, the New Zealander Joseph Parker entered this fight with a perfect boxing record of 21-0-0 (18 KOs=86%) and he is ranked as the No.5 heavyweight in the world (currently the #1 in this division is Luis Ortiz) while his opponent, Andy Ruiz Jr, has an official record of 29-0-0 (19 knockouts) and he entered as the No.21 in the same weight class. Parker has already fought four times in 2016 beating Solomon Haumono (=Parker vs Haumono) and Alexander Dimitrenko in his last two (=Parker vs Dimitrenko) while Ruiz has fought three times beating Ray Austin, Josh Gormley and Franklin Lawrence (=Ruiz vs Lawrence). 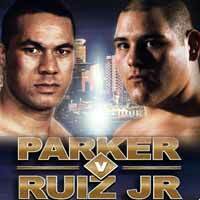 Parker vs Ruiz is valid for the vacant WBO World heavyweight title. Watch the video and rate this fight! Review by AllTheBestFights.com: 2016-07-21, pretty good finish but the rest of the fight was not so exciting: Joseph Parker vs Solomon Haumono gets two stars. The undefeated Joseph Parker entered this fight with a perfect boxing record of 19-0-0 (16 KOs=84%) and he is ranked as the No.8 heavyweight in the world (currently the #1 in this division is Tyson Fury). He has already fought twice in 2016 winning over Jason Bergman (=Parker vs Bergman) and Carlos Takam (=Parker vs Takam). His opponent, Solomon Haumono, has an official record of 24-2-2 (21 KOs=87%) and he entered as the No.74 in the same weight class. He lost to Kevin Johnson in 2013 but since then he has won four bouts beating Manuel Alberto Pucheta. Parker vs Haumono is valid for the WBO Oriental and OPBF heavyweight titles. Watch the video and rate this fight! Review by AllTheBestFights.com: 2016-01-23, pretty good fight between Joseph Parker and Jason Bergman: it gets three stars. The undefeated Joseph Parker entered this fight with a perfect record of 17-0-0 (15 KOs=88%) and he is ranked as the No.11 heavyweight in the world. He fought five times last year beating Kali Meehan (=Parker vs Meehan) and Daniel Martz in his last two bouts (=Parker vs Martz). His opponent, Jason Bergman, has a boxing record of 25-11-2 (16 knockouts) and he entered as the No.79 in the same weight class. He lost to Akhror Muralimov in 2014 but then he has won over Robert Hawkins and Jerry Butler. 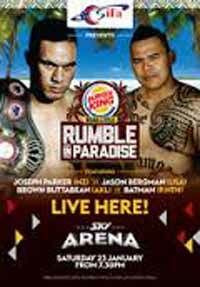 Parker vs Bergman is valid for the WBO Oriental and WBO Africa heavyweight titles. Watch the video and rate this fight!